When Jane Wetherby offers PC Hamish Macbeth a holiday at her "Happy Wanderer" health farm on the isle of Eileencraig, he is more than happy to accept. Unfortunately the visit doesn’t prove to be the pampering experience he had been hoping for. Windswept Eileencraig is inhabited by hostile islanders, many of whom would be more than happy to be rid of the Happy Wanderer and its proprietor. And the company at the health farm is hardly better. The volatile party includes an ex-husband, an illicit lover, and Morag Todd, an unadulterated snob who criticizes everybody and everything. 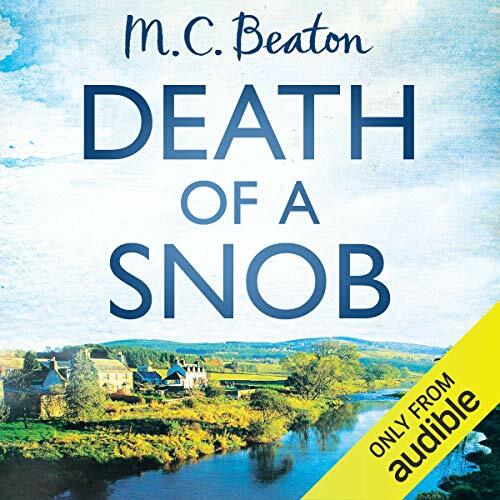 So when Morag is found lying at the foot of a cliff with a broken neck, no one seems too broken up about the event - leaving it up to Hamish to solve the death of a snob. M. C. Beaton worked as a Fleet Street journalist. She is the author of 16 Agatha Raisin novels, the Hamish MacBeth series and an Edwardian murder-mystery series. She divides her time between the Cotswolds, where she lives in a village very much like Agatha's beloved Carsely, and Paris. Hamish heads off to an island and solves a murder. it would be nice to get more info about the island.